If you’ve been sticking around and reading my posts for any length of time, you know that I’m not really into New Year’s resolutions. I like to set smaller goals for myself – mostly because I have a better chance of being able to track my progress and achieve them, and there are few things I like more than putting a checkmark on my To Do list. I made quite a few checkmarks in 2011, but unfortunately, “blog more” wasn’t one of them. Between selling our house (check! 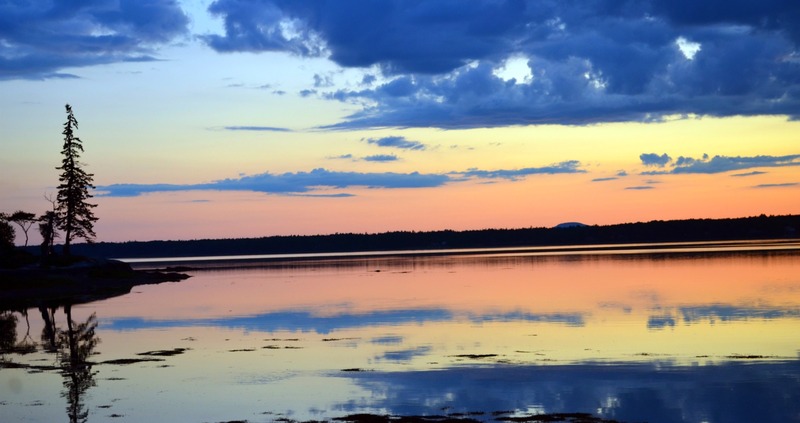 ), moving to Maine (check! ), starting a book club (check! ), enrolling in a yoga teacher training program (check! ), making new friends (check! 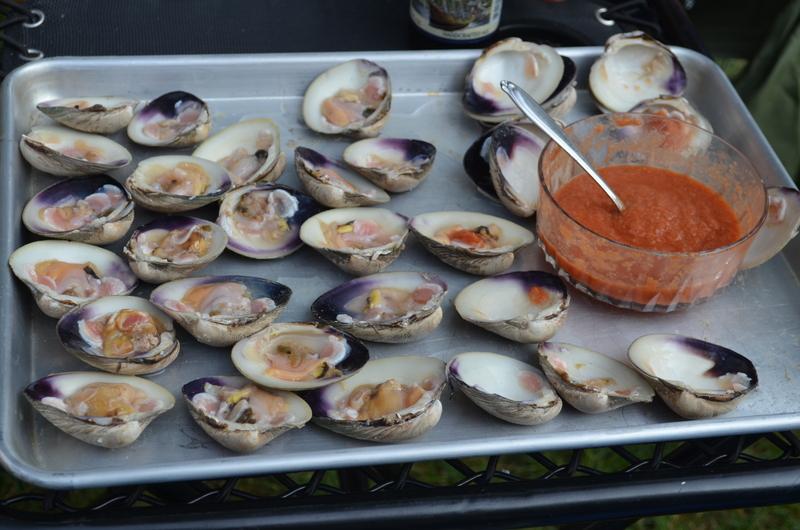 ), and learning to deal with cooking in my tiny galley kitchen (semi-check), the blog has gotten away from me. Since I use it as my own personal recipe book, it’s something I’ll probably always do, but sometimes living life gets in the way of writing the blog, you know? You may remember The Ugliest Cake Ever. A haphazard pantry experiment that kept Andrew and I laughing for days as we ate every bite of the delicious but most hideous cake to ever grace our home. 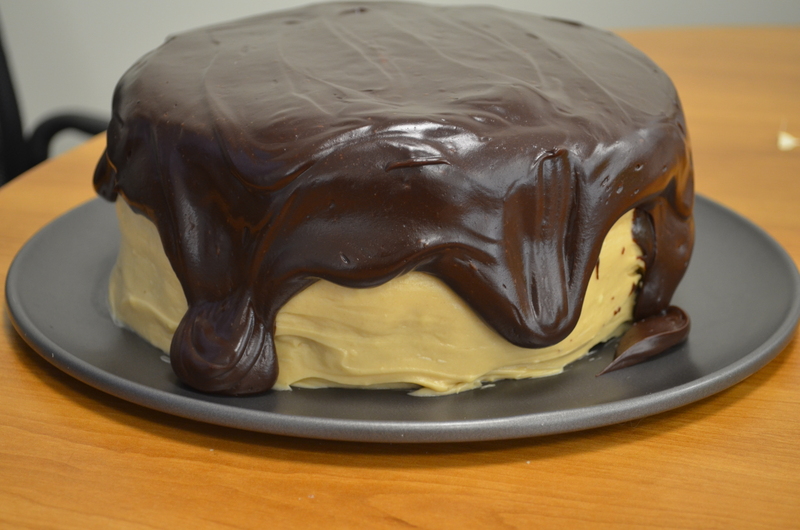 When my friend Lisa told me about this Chocolate Cake with Peanut Butter Frosting and Chocolate Peanut Butter Glaze, I drooled. And then I smelled it…my chance for redemption. I made this cake for Andrew’s birthday this year. If you looked at The Ugliest Cake Ever post, you may have realized that his birthday is in February. In the craziness of selling our house and moving halfway across the country, these pictures got shoved to the bottom of the folder and I nearly forgot about them. I didn’t forget this cake though, and I’ve been thinking about it a lot lately. I think it would be very pretty for Halloween, don’t you? I mean, it’s kind of orange and black, so it would fit the “theme”, right? RIGHT? Who am I kidding? When have I ever needed to justify making a cake? UPDATE: I am making this cake for book club on Tuesday night. Fellow readers, prepare for your intellects to be obliterated by this chocolate-peanut butter bomb of deliciousness. Preheat oven to 350 degrees. Grease two 9″ layer cake pans & dust with cocoa. Set aside. In large bowl, combine flour, sugar, baking powder, baking soda and salt. Whisk until well blended. Add eggs, milk, oil and vanilla and beat well until combined – about two minutes. While beating, place water in a microwave-safe container and heat to a boil. Stir water into cake batter. Pour the thin batter into prepared pans. Bake at 350 degrees for 30-35 minutes or until cake pulls away from sides of pan, top springs back when lightly touched and toothpick inserted in center comes out clean. Cool for 5 minutes. Remove cakes from the pans and cool completely on a wire rack. Create a double boiler by setting a heat-safe bowl over a pot of simmering water – make sure the bottom of the bowl is not touching the water. Combine the chocolate, peanut butter and corn syrup and whisk until the chocolate is melted & the mixture is smooth. Remove from heat & whisk in the half-and-half, beat until smooth. Place one of the chocolate cakes on a cake stand or serving plate. 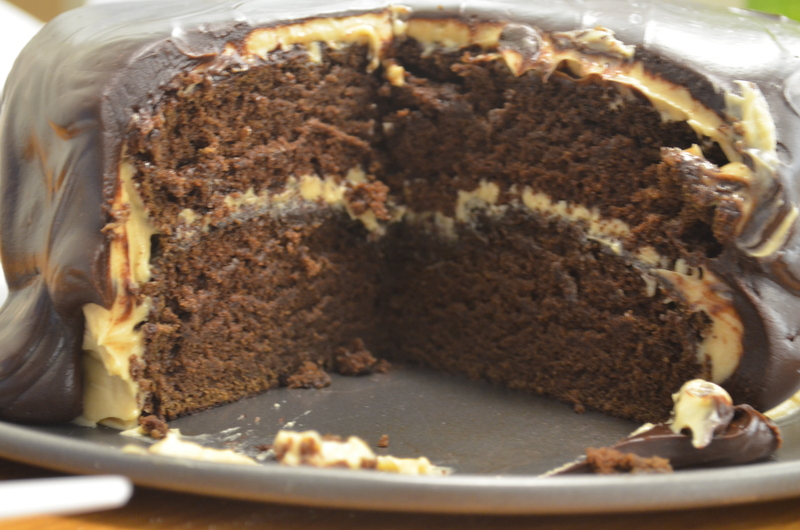 Spoon somewhere between a half and one cup of the peanut butter frosting into the center of the cake and spread it out. Add the other chocolate cake to the top. Spoon all the frosting into the center of the cake and then spread evenly over the top and sides. Note: The chocolate peanut butter glaze needs to be poured while it is still warm, so you may want to wait to make it until you have the cake assembled to this point. Pour the glaze over the top of the cake and allow it to drip down the sides. Cut a slice. Or two. This cake will make you get a little bit crazy like that. I’ve been gone for a while. Mega bloggess slacking on my part, but in my defense, this was our first summer in a new place. It’s been an insane few months of traveling, friends, family, and of course, food. I have been cooking and taking pictures, just not sharing them with you guys. I’ll try to do better. I’m working on some new delicious things, including a to-die-for peanut butter chocolate cake and a Thanksgiving menu and agenda. Don’t give up on me friends! It’s been a busy summer. Lots of gardening, sunshine, and seafood. I thought I’d put up a “Yums” post to share some of it with you. Consider it a photo essay version of that old first week of school standby – “What I Did On My Summer Vacation”. Except, I’ve still got another month to keep doing it! 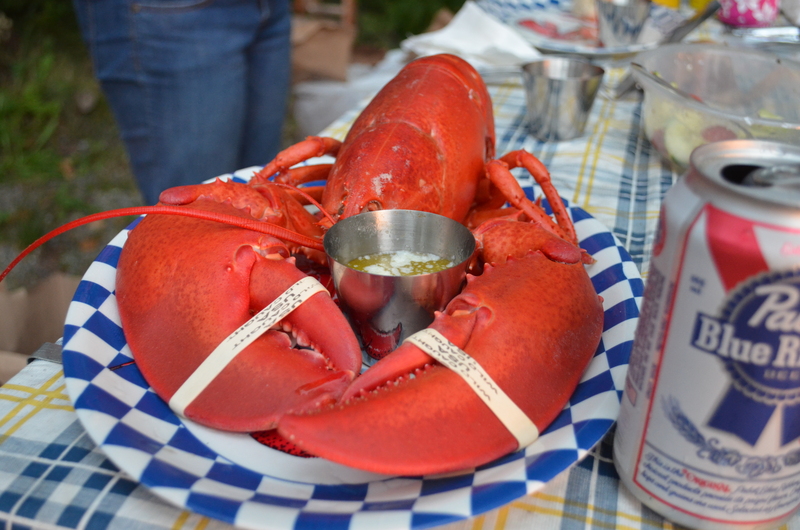 Click for more pictures from the Yarmouth Clam Festival, Acadia National Park, and some of my favorite places in Portland! This post was originally published in February and consistently gets some of the highest views on my site, so I thought I’d repost since S’mores are a quintessential summertime treat. Enjoy! Are you looking for a new super simple dessert recipe? Something to keep in your back pocket for the next time someone says “CHOCOLATE” the next time you ask “what can I bring?” A quick and easy option comprised entirely of ingredients you probably keep on hand in your pantry? 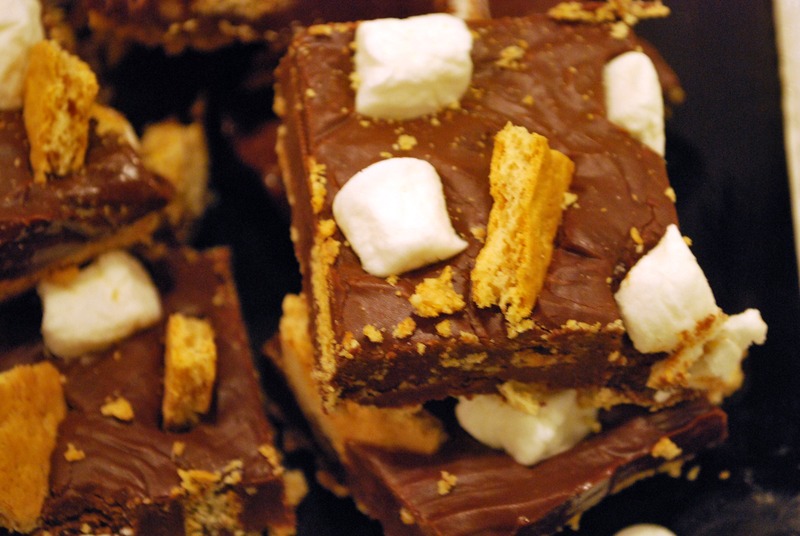 Look, S’mores Bars ain’t fancy. But then, they aren’t pretending to be. And they don’t need to be. That’s because anything s’mores has something that fancy just doesn’t – nostalgia. This is a find from Annie’s Eats and though, like Annie, I didn’t really care for s’mores as a kid, now I happen to think they’re a great excuse to eat chocolate. Not that I ever really need one. Line an 8×8 pan with tinfoil (make sure to wrap it over the edges) and spray with cooking spray. Melt the butter in a microwave-safe bowl, then stir in the graham cracker crumbs. I like to use a fork to make sure every last little crumb gets some buttery goodness. Dump the mixture into your prepped 8×8 and press the crumbs into an even layer. You can use the bottom of a glass or measuring cup to help you. Pour the condensed milk into a medium saucepan over medium heat and add the chocolate chips. Stir until the chocolate melts completely and it is completely smooth. Turn off the stove and stir in the vanilla and salt. Here’s where you have to move fast – the chocolate will cool quickly. Pour over the graham cracker crust and smooth with a spatula. 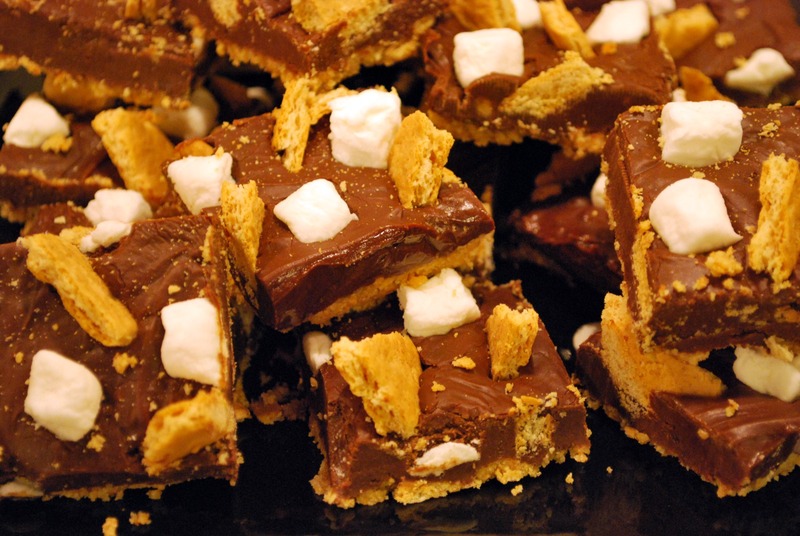 Top with the marshmallows – gently push them into the chocolate just a little bit so that they stick. 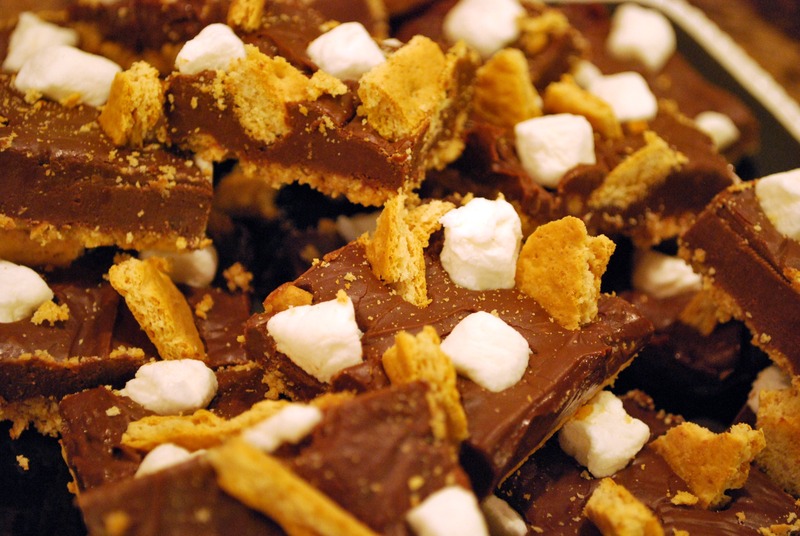 Poke the graham cracker pieces into the chocolate. 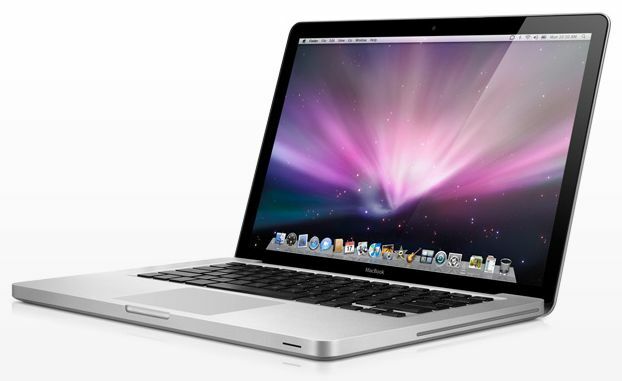 Cover the pan with foil and stick it in the fridge for at least four hours – you want to give it ample time to set. Uncover and use those edges of the bottom tinfoil to lift the bars out of the pan. Cut into squares or rectangles and keep cool until ready to serve. In my P.A. (pre-Andrew) days, I was known to cut up a watermelon and call it dinner. If you have kids or a husband who insists on eating something other than fruit, you’re probably like me – always on the lookout for something different that’s also quick and easy to put together on a weeknight. And in this weather, something that requires as little cooking as possible. 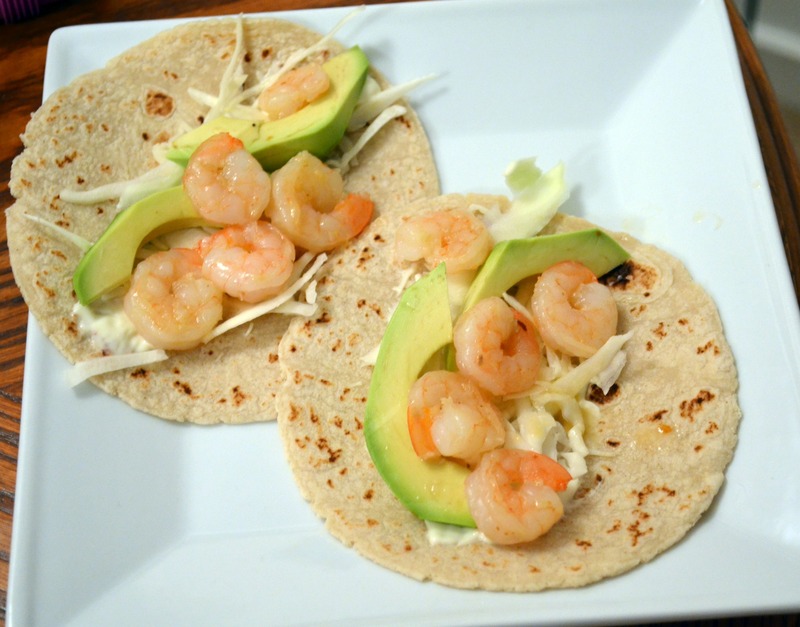 Well, tonight you should give my super simple shrimp tacos a try. The slacker “aioli” is easy and delish. The shrimp cook in minutes. Best of all, everyone puts their own dinner together. Which leaves me more time to sip sangria in front of that air conditioner. To make the “aioli”, mix the mayo with two cloves of the minced garlic. Juice half the lime into the mixture and stir to combine. Cover the aioli and chill. Heat the olive oil and red pepper flakes in a large saucepan over medium heat. Add the remaining three cloves of minced garlic and saute until it begins to soften. Add the shrimp to the pan. Season with salt. If using uncooked shrimp, toss until shrimp turns pink and the white parts are opaque. If using pre-cooked shrimp, you’ll just need them in the oil long enough to heat through. A minute or two should do it. 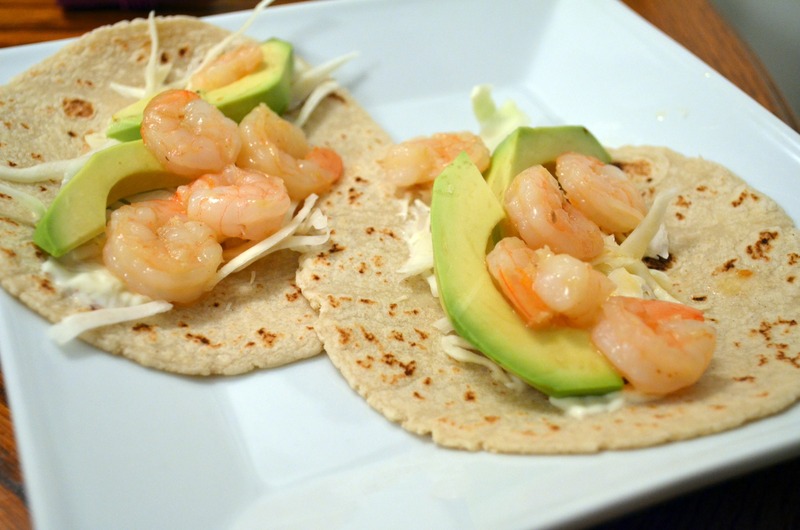 To serve, put shrimp, aioli, tortillas, jicama, and sliced avocados in small bowls or on a platter. Garnish with slices of lime and fresh cilantro. Everyone can assemble their own tacos, and you can relax. 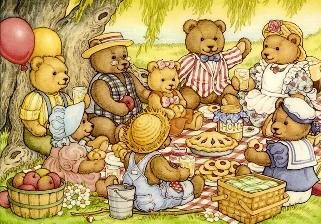 There’s this movie that I had on VHS when I was a kid called The Teddy Bears’ Picnic – an animated story about what happens when teddy bears come to life and all meet up in the woods for a big party. There’s even a song and everything. Of course, this song has been stuck in my head for days now. I’m not sure what the Teddy Bears’ Picnic has to do with these Roasted Vegetable Sandwiches. But I was thinking about it and I wanted you guys to know. So you’re welcome for the tangential teddy bear talk. Anyone who knows me can tell you I’m not a big sandwich person. I typically avoid meat/bread combinations (though of course there are exceptions to this rule) so when I eat at a cute little sandwich shop, I tend to go for the vegetarian option. My favorite version has been cropping up everywhere lately – marinated vegetables that are roasted, melty cheese, crusty bread…it’s a winning combination, and one that I was quick to duplicate at home. Oh, here’s where I can tie this sandwich and the Teddy Bears’ Picnic together. Sort of. This would be a great choice for a picnic offering. 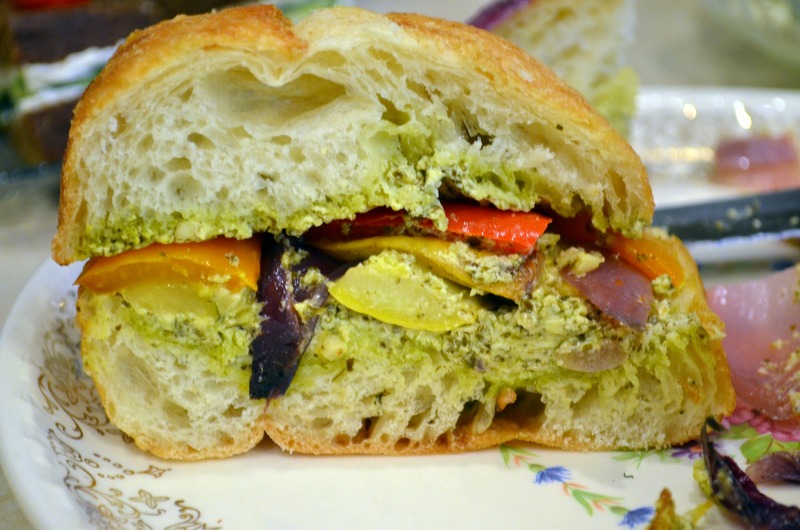 You could pack the bread, pesto-goat cheese, and veggies separately and assemble at the picnic site for a filling vegetarian option. See, I knew I could bring it full circle. Slice the zucchini, squash, and eggplant into planks and cut the onion and peppers into slices. 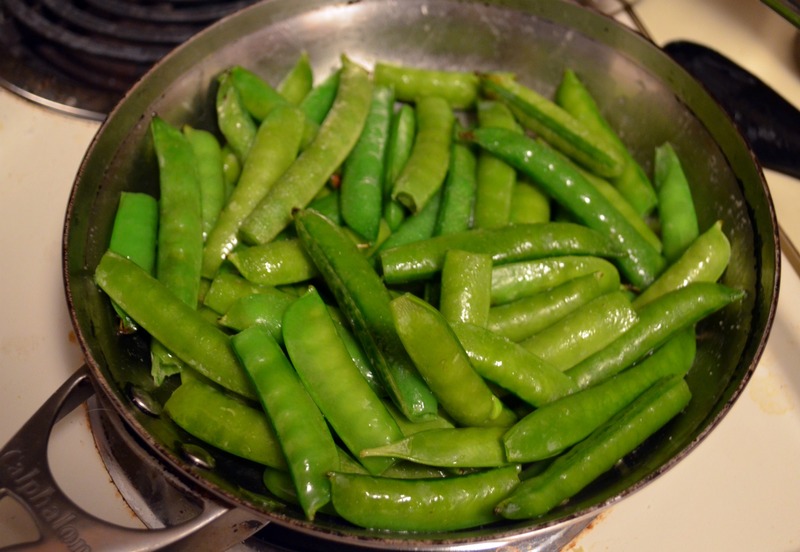 Toss together with Italian dressing – season with salt and pepper if necessary. Refrigerate for at least 30 minutes but not much more than an hour. Preheat the oven to 400 degrees. Spread the vegetables out on a cookie sheet and roast for 20 minutes or until slightly charred and heated through. In the meantime, mix the pesto and the goat cheese together in a small bowl. 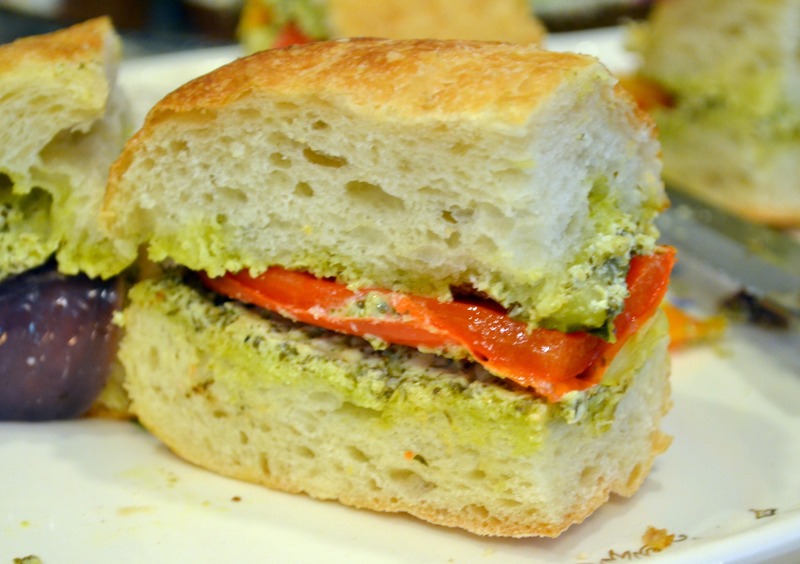 You may want to thin the mixture out with a little olive oil – it needs to be spreadable. Slice the ciabatta in half lengthwise. Liberally spread the pesto-goat cheese mixture over both halves. At this point, you can put the bread under the broiler for a moment to get it a little toasty – the cheese will get melty and it will be delish, but this isn’t a required step. Assemble by heaping the vegetables onto the bottom half of the bread, then adding the top half. Slice the loaf of bread into individual sandwiches and serve.